La Triata | Zonyxa. Unique and contemporary jewellery for Work. Love. Play. This striking, triple strand necklace comprises shimmery nuggets of labradorite, faceted squares of black agate and glazed roundels of ice crystal. 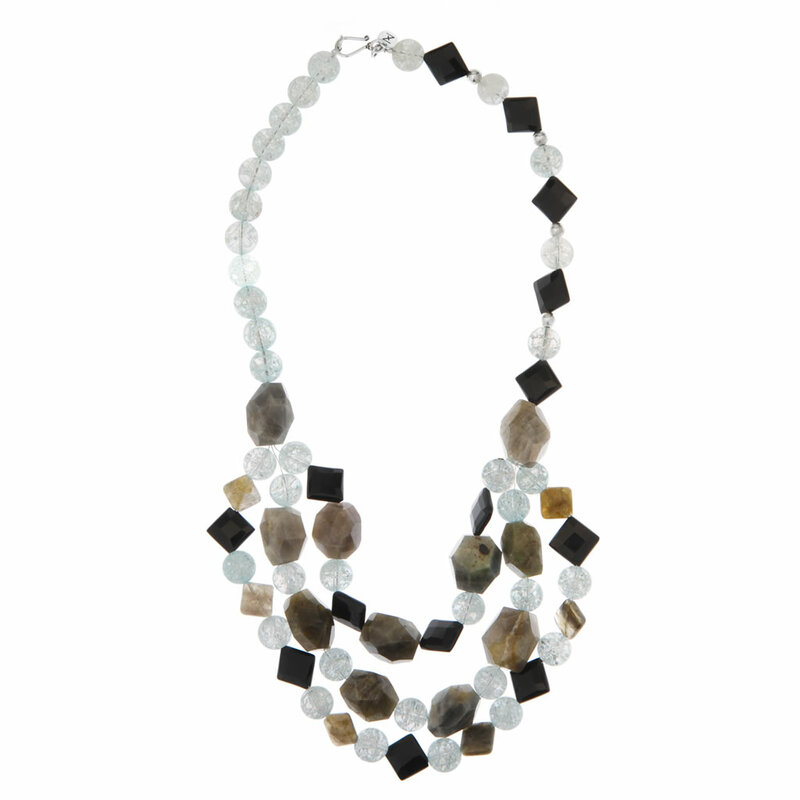 The single neck-line strands feature sterling silver balls mixed with agate and ice quartz. Stunning with your glamorous, open-neck dress or top. Materials: Labradorite, ice quartz, crystal, agate and sterling silver beads.